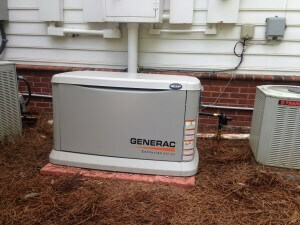 G & S Gas Service INC is your local Generac Certified Sales and Service Dealer, and we would love to help with your home generator purchase, installation, and service. Our service areas include but aren’t limited to: Milledgeville, Gray, Eatonton, Greensboro, Lake Oconee, Lake Sinclair, Gordon, McIntyre, Sparta, and Haddock. 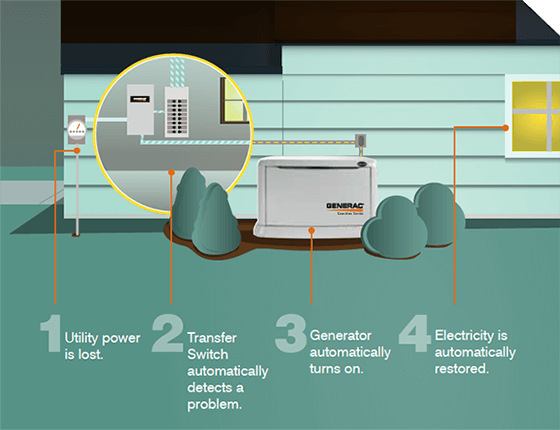 A permanently installed Generac back-up home generator protects your home automatically during a loss of power. It runs on natural gas or propane, and sits outside just like a central air conditioning unit. 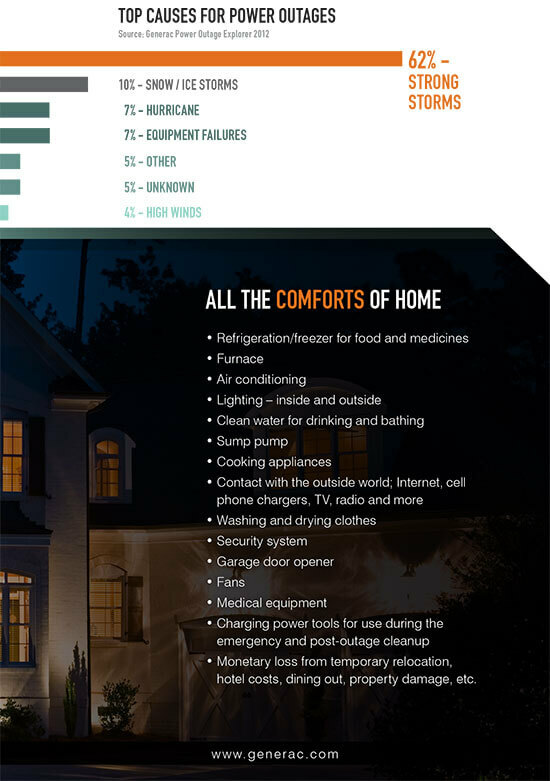 A home generator delivers power directly to your home’s electrical system, backing up your entire home or just the most essential items. The generator kicks in within seconds of determining power loss—automatically—and runs for as long as necessary until utility power returns. Installing a home generator is an exciting time. G & S Gas will prepare the installation site outside your home, place the generator, run the natural gas or LP fuel line, install the transfer switch, and make all of the necessary electrical connections. Once installed, we will make sure that your home generator runs properly, and is ready to protect your home during its first power outage. Contact us about having a home generator installed! If your power goes out, your home generator comes on – automatically. It’s really that simple. The home generator system consists of a generator and transfer switch. The generator sits outside of your home or business just like a central air conditioner, while the transfer switch is located next to the main breaker box, and in some cases replaces it entirely. Why install an automatic backup generator instead of using portable units? With an automatic backup home generator properly installed outside, your home is protected from deadly carbon monoxide poisoning that is a much greater risk with portable generators.